Many facets of the movie industry have fascinated people for as long as the medium has existed, and the interest has only grown over time. In the early decades of film, the fascination revolved mostly around the glamorous life of the stars. Around the beginning of the 1970’s, Variety magazine began regularly publishing lists of the top box office grosses of films in release. The public at large was about to discover another aspect of the film industry to marvel over. The term blockbuster would soon saturate the popular culture, accompanied by the enormous and unprecedented financial success of films such as Jaws in 1975 and Star Wars just two years later. The staggering amounts of money and the shattered records awed the public and attracted interest in the numbers like never before. Glamorous tales and images of celebrity life now had some serious competition for a fawning public - people wanted to see the numbers. Improving upon the model set by the impressive box office success of The Godfather, Jaws opened wide, and with this delicious metaphor aided by an extensive television marketing campaign, stormed the box office and changed the business model for Hollywood films forever. Setting a record for opening weekend gross at the time (surpassing The Godfather’s first weekend in wide expansion), the film would predatorily cruise past every other monster hit and swiftly become the highest grosser of all time. The stage had been set for the blockbuster Hollywood opening. Box office would soon become a regular headline and buzz word discussed around water coolers everywhere. People could now follow a film’s grosses in real time and watch as they rocketed to blockbuster success or crashed and faded into obscurity. Cut to today, the fast-paced and information-dense 2012. With the growth of the internet and mobile communication, we now have the low-down on every movie project, every step of the way from inception to premiere. We instantly know which projects have entered talks, which have been shelved or green-lit, who has signed on or exited, whether the production is going smoothly or not, and just about any other detail we could want to know. Information spreads and saturates quickly. Once in release, it used to be that film had to be playing for several weeks before solid conclusions could be made about its success or failure. It took time for word-of-mouth to spread throughout the public, from the big cities to the heartland. Even the top grossing films began as platform releases. Times have changed. The opening weekend gross is now of paramount importance – the financial prospects of a film’s entire life cycle can now be extrapolated from the first weekend gross with a level of accuracy that makes studio heads and filmmakers a bit uneasy (and sometimes downright nauseated). What’s more, box office reporting has now evolved beyond the Monday morning headlines of how films fared over the weekend - now people increasingly want to know how much money films will make before they even come out, and in today’s world this information is surprisingly accurate and has increasingly public awareness. Tracking data, which was once tightly sealed and closely guarded data in the industry, has found its way onto the internet regularly, courtesy of an endless supply of websites, bloggers, and internet forum regulars eager to satiate the demand of rabid information-seekers. Advance ticket selling has exploded in the last decade with the offerings of convenient online and mobile ticketing services, and advance sales numbers are now in ready supply as well. With no shortage of analysts weighing in on the numbers, the explosion of information sharing has created a situation where a box office opening for a given film can be predicted with reasonable accuracy (on average), and everyone with internet access has easy access to these predictions. As a result, many box office enthusiasts have begun to feel that much of the old thrill of seeing the opening weekend results has gone. With so many ‘expert’ predictions floating around for every film, the actual result is usually somewhere within the range of them, and even when it isn’t, the final result is never too shocking. Thus it seems harder to be impressed by an opening these days. This brings us to the questions: what impresses us about an opening, and how impressed should we be? The average observer is impressed primarily by any huge numbers or dominant #1 openings that decorate the headlines on Monday morning. But those of us who are a bit more discerning and follow the numbers on a regular basis know that there are many factors to consider. Big numbers aren’t always impressive, because we know that huge production and marketing budgets, big franchise brands, in some cases big celebrity names, and many other factors carry certain expectations based on past results, and failure to meet those expectations despite putting up big numbers means we are not impressed. On the flip side, some movies seem not to have much going for them yet wildly exceed expections, but may not get much attention without the bigger numbers. So it is expectations that set the stage for impressing or disappointing us. If we’re being fair, we should be impressed by any openings that exceeded the expectations, and the degree of 'impressed' should match the level to which expectations were exceeded (percentage-wise). In reality though, simple human nature requires a film to make a lot of money to impress us. Somehow, a movie that opens to 10 million dollars even though expectations averaged around 5 million is just not as impressive as if the numbers are higher by a factor of 10. The question becomes how expectations are set to begin with, then. The emphasis there is on the word begin. As previously noted, as time goes on, we get increasingly bombarded with internet data and speculation in the weeks leading up to release, to the point where we are largely desensitized by the time the actual numbers come in. It’s easy to forget what the buzz was before all the tracking and advance sales data came in and internet gurus became all atwitter with predictions. To properly assess how remarkable we feel an opening really is, we should recall what the speculation was before the harder data began flooding in - when all we knew about a film was from the more qualitative side: the title, the concept, the filmmakers, the posters and trailer, etc. With this in mind, one is properly armed to make comparisons among movies across the board in terms of how impressive and shocking their openings weekends really were – how they actually did compared to how much people initially thought they would do. I have asked the box office analysts from worldofkj.com to submit their own ranked lists of the openings from the domestic box office that they deem the most impressive of all time. More than a dozen experts have weighed in on over 50 different films, and I have compiled their lists along with my own using a weighted ranking system. Please note that this list consists of relatively very recent films and may appear biased toward the present. As discussed, most data on opening weekends was not even made available to the public before the 1970’s, and most weekend data overall was not available before 1982. 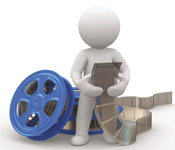 Even then, opening weekends were very subdued by today’s standards, and impressiveness was reserved for how well a film held and ended its run – weekends became of much more significant import with the rise of home video technology in the mid 1980’s. In 1999, internet usage was growing at roughly the fastest rate in its history. The term ‘viral’had never been used much in pop culture to refer to non-biological events, and ‘viral marketing’ had not yet been born. But it was about to be. Two independent filmmakers really wanted to make a film - the kind of film that would really scare them if they were in the audience. But they didn’t have much money – not much at all. They came up with a fairly simple concept that would be easy to shoot. They held informal auditions to choose just a few actors for their film, and shot the film in 8 days. The end result? Genius – genius that made film history and spawned a brand new and highly lucrative genre. Another term that had never entered the popular culture up to that time was ‘found footage’. Not that no one had ever used amateur film footage in a film before, but it was the kind of thing you might see in student films or short film projects that required little professional expertise and not much in the way of financing. Certainly no one would pay much to see a whole film that consisted entirely of footage shot by (apparently) some average Joe with a home video camera – right? Perhaps not without some supernatural intervention, anyway. The filmmakers created a back-story legend for their film, which consisted of what was advertised to be footage that had been discovered years after it was shot. The legend created was a ghost story about a local legend in Maryland called the Blair Witch, and this story complemented the premise of the film, which was that it was itself the footage captured of the actual events by student filmmakers setting out to make a documentary about the mysterious legend, and was found years later after the deaths of the students. The story of the Blair Witch was used in posters and trailers, and perhaps most importantly, on the website they had created for the film. Earlier in the year, the breakout hit The Matrix had found a great deal of success in pioneering the website as a marketing tool – websites at the time were still visited mostlyby the tech-savvy and hip youth, and offered potential audiences a chance to be part of something unique and be part of the in-the-know elite. The Blair Witch Project leveraged the new tool to great success. Viral marketing had rarely if ever been so successful before, and arguably has not been bested since. Everyone was buzzing about whether the events in the film had really happened, if the footage was real, and whether the legend itself was perhaps real. Even for nonbelievers, the excitement and novelty was palpable enough to elicit chills. The atmosphere recalled when The Exorcist, which is and will forever remain the most-attended theatrical horror movie of all time, left audiences in hysterics and with nightmares, wondering if some or all of the events in the movie were real. On July 16, 1999, The Blair Witch Project debuted in just 27 theaters in big cities, with the hope of getting positive word-of-mouth going. It was an unprecedented success for a horror film, and for films with a modest budget, let alone a spartan one like Blair’s which was well under the $100,000 mark. Over the opening weekend, the film cleared $56,000 per theater, which ranks as the third best attendance per theater for films opening in 10+ theaters. When it expanded nationwide, the shock and awe continued. Its per theater average in wide debut also ranks as the third most attended for any film in 1000+ theaters, behind only box office behemoths Return of the Jedi and Spider-man (the former had a relatively limited release compared to today’s blockbusters). The Blair Witch Project would go on to become a legend in its own right for having provably the highest box office gross-to-budget ratio of all time – the film made in excess of $2000 domestically for every $1 spent on production (using even the highest figures reported). It is recognized as having birthed the found footage genre of film, and remains by far the most theatrically attended film in both that genre and the genre of witchcraft as well. For 12 years, if you held the opening weekend record, you had 'Batman' or 'Jurassic Park' in your title. The top of the box office charts had always been ruled and driven by adults. Everything changed in 2001. In 1998, J.K. Rowling’s novel for young readers, Harry Potter and the Philosopher’s Stone hit shelves in the U.S., with the word ‘Philosopher’ changed to ‘Sorcerer’ to sound more appealing to American kids. A phenomenon took root. The book gained attention from adults for having complex themes and controversy from religious groups for its supernatural content. The book won many awards and attracted a broad readership across many demographics – something children’s books rarely achieve. The film rights were purchased by Warner Brothers in 1999. By the time of the release of Harry Potter and the Goblet of Fire in 2000, fandom was roaring, and midnight book release parties across the nation reached a level never before seen. By the end of June 2000, the novels had been on the New York Times best-seller list for 79 straight weeks, needling popular adult authors and readers not used to taking a back seat to children’s fare. Potter could not be ignored, and was taking the fast track to the big screen and attacting attention from big name filmmakers. Meanwhile, at the box office, family movies with crossover appeal began thundering – a calm before the storm. The weekend of November 17, 2000, the first movie adaptation of a book in the classic Dr. Suess library, How the Grinch Stole Christmas hit theaters. It was an enormous success, scoring the 2nd best opening weekend of 2000 and stealing the top grossing spot for year overall. The following May, Shrek was introduced to the public and helped kick off the summer movie season with a very impressive opening, and then stunned the world by increasing the following weekend on its way to what would become a 3rd place finish for the year. Both of these films appealed strongly to adults with the help of their popular comic stars Jim Carrey, Mike Myers, and Eddie Murphy. But Harry Potter was coming. Christopher Columbus had won the privledge to direct the film adaptation of the new young adult phenomenon. If anyone could make a live action film with a young star appeal to a large audience, it was he. Columbus had brought a little film called Home Alone to audiences in 1990. Its success had been enormous, becomming the highest grossing Christmas movie by far, and easily winning the year at the box office. Columbus had also directed the runaway hit Mrs. Doubtfire, which had taken 2nd place for the year old to juggernaut Jurassic Park. He could make a huge family hit no doubt, but both of these films had been comedies, the latter of which also had a huge comic star. The genre of fantasy was a much different story. Getting audiences into the theater on opening weekend for a fantasy-genre film was a daunting task indeed, and long-term success was iffy at best. Could the success of the books really translate on the big screen? Choosing the frame that had worked wonders for The Grinch, Harry Potter and the Sorcerer’s Stone finally arrived, debuting on November 16, 2001. Fans had been waiting. By the end of the weekend, Batman and T-Rex would no longer be king. The ultimate spell had been cast on the box office. The film became the first in history featuring a starring cast of children to break the opening weekend record. For the genre of fantasy, nothing like this had ever remotely been seen. The genre had always struggled to open to double digits and rarely crossed the 50 million mark in total. The boy wizard had just commanded the full and undivided attention of Hollywood. A new era in box office had been born. Documentary. There was a time when the word was synonymous for a cure for insomnia and conjured images of high school kids drooling unconscious on their classroom desks. And then Michael Moore came along and woke people up. Moore introduced regular folks, particularly youth, to quite a concept. There were important issues in society to ponder and discuss, and the medium of film could present them in an informative and professional way and be entertaining about it at the same time. In 2002, the documentary as a legitimate box office draw was born when Moore’s film Bowling for Columbine rolled across theaters in what was a limited run that drew extremely positive reviews and remarkable word-of-mouth from audiences, and would go on to earn Moore his first Academy Award. Columbine was Moore’s reaction to the state of gun control in America following the murders of 12 students and 1 teacher at Columbine High School in April of 1999 by students at that school. A nation was left shocked and horrified, and desperate for answers. Moore’s film took a step back from the usual knee-jerk reactions, finger-pointing, and political agenda spinning that unfortunately is often the norm in the aftermath of such events. The film was particularly important in that used a medium that helped get young people interested and involved in important discussions and helped them see how political matters really do affect them, by using a presentation style that could entertain even while presenting a lot of facts. The documentary as a film genre was no longer confined to creaky art houses or used as a substitute teacher. Of course, no tragedy in modern American times has affected people like the events of September 11, 2001. Answers had never been needed by the American public like they were on that day. With Columbine as a precedent, Moore was in a similar position to create a film to help answer those questions. He chose to focus on the government’s reaction to the events, rather than underlying causes of the event as he had in Columbine, and Fahrenheit 9/11 was the result – a scathing indictment of a political administration’s failure and corruption in response to great national tragedy and security concerns. It may not be surprising that great interest in this subject matter would be generated, but whether that interest would be a in documentary was completely unpredictable. Columbine’s success was unprecedented to quite a degree – only Moore himself had ever generated a modicum of public interest in seeing ‘heavy’ documentaries theatrically – it’s $21.6 million gross had bested Moore’s own Roger and Me record box office take for the genre of $6.7 million set 13 years previously. How Fahrenheit would play in theaters was anybody’s guess. The answer came the weekend of June 23, 2004, when the film was released. How high did it open? To put the answer in proper perspective, among all political documentaries, the opening was more than 100 times higher than the previous best set by Columbine, and even though it also got a release with 100 times the number of theaters, still managed a higher per theater average, which is a remarkable feat that is almost certainly unmatchable in any other legitimate genre. In terms of attendance, the opening remains 10 times higher than the 2nd place film in the genre and 100 times higher than the 3rd place film. We’re talking cosmic scales here. Even among all documentary subjects, the previous best had been Tupac: Resurrection. Documentaries featuring figures from the music world are generally by far the best attended, and still Fahrenheit quintupled the opening record held by that film. In terms of attendance, it remains the top opener, even besting Justin Bieber: Never Say Never, and its lifetime total still towers over its fellow documentaries, especially in the realm of politics. It is noteworthy that both Fahrenheit and Columbine have succeeded in tandem with the rise of reality television, which perhaps deserves some credit for warming people to the possibility of seeing educational or ‘heavy’ documentaries. There is no question though of Michael Moore’s dominance in the realm of successful documentary filmmaking. Aliens invade from outer space! The calling card of the cheesy sci-fi flick from the 1950’s - flying saucers on a string, rubber-suited monsters, and cheap theremin music. Audiences got worn out by them eventually, and finally filmmakers lost interest. In November of 1977, Close Encounters of the Third Kind landed in theaters, hot off the record-breaking success of the summer’s Star Wars and the follow-up to the record-breaking Jaws from the new wunderkind in town Steven Spielberg – Star Wars had set the bar very high for the sci-fi film, and people wanted to see what the new kid could do in the genre. The film was primed for a massive box office run, and cashed in. Audiences had a definitive alien-visitor film. It seems that after Close Encounters, no one was eager to tread on the territory again for some time. Anything in the genre was either going to recall notions of the cheesy flicks of old, or worse, would be compared to Close Encounters, an audience favorite. Aliens were thus exiled to outer space and had to stay there in order to succeed on Earth. But judging by what happened in 1996, it seemed aliens had been meticulously plotting an invasion for some time. The summer of 1996 kicked off early with Twister, an immensely popular disaster film at the time. Another was scheduled in less than two months - Independence Day. Another storm was brewing. But would Twister steal some of the thunder from ID4 (the ‘hip’ shortened title used in some advertisting)? Or would lightning strike twice? It had been nearly 19 years since Close Encounters. Was Earth ready to receive aliens once again? The shadow was advancing over the horizon – one way or another, they were on their way. The invasion began on the evening of Tuesday, July 2. In preparation for the big holiday weekend as is typical, the film was released early in the week to take advantage of early vacationers and hopefully get good word-of-mouth buzzing and building going into the weekend. Independence Day was one of the first films to try an evening preview release, rather than a morning release (or as would later be common, a midnight release) to try to create an even bigger event. It worked. The film took in over 11 million dollars that Tuesday night, a spectacular amount that has not been bested by any film in opening pre-midnight business to date despite over a decade and a half of inflation. It was clear right away that Twister, massive though it was, was merely the calm before the real storm of the 1996 box office. The invasion escalated Wednesday - the first full day of release saw an additional $17.4 million, annihilating the previous Wednesday record set by Terminator 2: Judgment Day. By the end of Monday, after 6 full days, Independence Day had broken the $100 million mark domestically – to put this in perspective, the fastest a film had ever arrived at the mark was the mighty Jurassic Park, and it took that film 9 days to get there, including two Fridays and Saturdays, neither of which Independence Day had had. Twister would come in 2nd place for the year with a remarkable total in its own right, but Independence Day would become the highest grossing movie of the year by far, breaking the $300 million mark for the sixth time. It successfully resurrected the alien invasion film, arguably surpassing Close Encounters as the most popular alien invasion film of all time and remaining so. It would also begin the tradition of having an epic disaster film premiering over the 4th of July holiday weekend, and remains the best-selling theatrical Independence Day holiday release. As previously noted, Shrek had an incredibly impressive box office run, from its opening to its stunning increase the following weekend, to its 3rd place finish for the year, behind only the two other new monster fantasy franchise starters – Harry Potter and the Sorcerer’s Stone and The Lord of the Rings: The Fellowship of the Ring. There had never been a non-sequel animated film open so high (the opening was actually 2nd only to to Toy Story 2), and to go from there to increasing the following weekend? Unheard of! It would become the 4th best-attended animated film of all time, and tops for a non-Disney branded film. It was one of those rare films that transcended its genre and did so extremely successfully. It took on the establishment, and people liked it. For three years, audiences who had missed Shrek in theaters were able to discover it on dvd, and word-of-mouth was as strong as ever. In 2004, Shrek would officially become a franchise with the release of Shrek 2 to be released at the same time as its predecessor on the third weekend in May. Were audiences open to a sequel? A movie that had rocked the establishment was about to become an establishment itself – would it hold onto its fans or be spurned? Animated sequels were risky – there wasn’t a lot of precedent for an animated sequel to catch on like the original. Toy Story 2 had managed to be pretty much the lone exception to the rule, thanks to the remarkable success and popularity of the original. But could Shrek 2 duplicate this success? Confident in their film and rightly anticipating a good fan base, Dreamworks opened their film wide on Wednesday, May 19, to hopefully generate some good word-of-mouth going into the weekend. It was a gutsy move. Pre-Friday openers (usually Wednesday) had been pretty typical for massive live-action releases, but Disney had often previewed their big animated films in limited release a week or two before the wide opening. The original Shrek had opened on Wednesday in just two theaters, two days prior to the wide opening. Other animated non-Friday openers had opened on or near a major holiday. This territory was a bit uncharted. The sequel took in $11.8 million from 3,737 theaters in its first day. A very solid start, if not earth-shattering. Wednesday openers usually drop on the 2nd day, and the bigger the fan base, the bigger the drop. Shrek 2 dropped 22% - not bad, but fairly typical. The question was how it would hold up on Friday. It was already close to maxed out in theater counts, and high schools and colleges were already dismissing for the summer - but not elementary schools. During the summer, a Friday increase of 50% is typical for a Wednesday opener with 100% about the best possible case – a 50% would be good, and put the film roughly on pace to match the original. During the school year, a 100% increase would be expected, with 200% being about the maximum. Mid-May is sort of in-between, so a 100% would be a good expectation. The Friday increase exceeded all reasonable expectations – a sensational 209%. It is difficult to sufficiently emphasize the impressiveness of such an increase given the miniscule increase in theater counts and the strong business from the initial 2 days. Less than 1% of films will do it, all in all. It shows the true diversity of audience that Shrek 2 was able to pull in. It would go on to gross $108 million for the 3-day weekend, breaking the 9-digit barrier by a record-shattering amount for an animated film without even opening on a Friday. Finding Nemo had set the bar just one year prior with its colossal $70.3 million weekend for which needed a Friday start. In terms of ticket sales, no animated film has yet bested the first five day take of Shrek 2. It would also go on to easily win 2004’s domestic box office crown despite stiff competition. And to this day only The Lion King has sold more tickets overall. In the mid 90’s, Joel Schumacher ran the Batman franchise straight into the ground with the third and fourth entries, in much the same way that the Superman franchise had been. Batman & Robin would go down as one of the most despised movies of all time by Batman fans. The problem, in a nutshell, was that Tim Burton had taken the world of Batman seriously, whereas Schumacher had not. Eventually time healed the wounds enough for filmmakers to gain renewed interest in the property. The success of franchises like Spider-man and X-men could not be ignored – superheroes were being taken seriously at the box office once again, and it was only a matter of time for Batman to be resurrected. The reigns were handed to newcomer Christopher Nolan, who had been gaining accolades from small, dark, thought-provoking films. Together with Christian Bale and strong cast and crew of dedicated filmmakers, he created Batman Begins. Audiences were hesitant at first. They had been subjected to one Bruce Wayne after another, and for many the franchise had dived in quality with each successive film, terminating in the all-out final insult that had been Batman & Robin. It would be hard to blame your average moviegoer to rush out to see the next film. But the good word eventually got out – the film quickly became a fan favorite and the term ‘reboot’ migrated from the comic book world to mainstream public discourse with the promise of a potentially renewed franchise in the wake of its quality and success. The film set the standard for (and would inspire) future reboots. It would bring in just over $200 million at the domestic box office – a modest commercial success compared to the franchise’s past glory, but an overwhelming success in terms of reception. The film would have time to be discovered by new fans on the home market. And the stage had been properly set… for a sequel. With the end of Begins tantalizingly teasing future events in Nolan's vision of the Gotham universe, a second film was far too irresistible. With a proper script in hand, the core filmmakers returned to work, focusing on one of the most popular villains in all of fiction – The Joker. Thrills escalated among fans with each new detail of production, from the casting of promising and rising young actor Heath Ledger as the Joker to the awesome new title: The Dark Knight. From exciting production stills to clever viral marketing – everything was being done right. But months before release, something went terribly wrong – Heath Ledger passed away from an accidental prescription drug overdose, at age 28. Ledger’s death made plenty of headlines. The world takes notice when a promising young actor dies. Ledger had begun a diverse career and was well-respected in the industry. This was a particularly noteworthy occurrence of a young star’s death in that his final role had been that of such a prominent figure in pop culture, leading to some speculation that perhaps the demands and pressures of the role had been too high. By the date of release, the buzz surrounding The Dark Knight had become a perfect storm. The film had achieved a rarified ‘it’ factor, and all walks were lining up: fans of the heroes, fans of the villains, fans bidding a tearful adieu to a beloved actor, and those who just wanted to be part of the event. Theaters everywhere opened their doors on Thursday night, July 18, 2008, the eve before opening day, to prepare for the legions anxiously awaiting a midnight screening. The midnight shows broke the box office record held by Star Wars: Episode III - Revenge of the Sith. The record-setting had only just begun. It broke the opening day record set by Spider-man 3, and with an astonishingly good Sunday hold, broke the opening weekend record held by the same. Batman had been no stranger to the top of the charts, having been there no less than thrice before, but it is extraordinary how much it had to overcome to get there – in its first three days, it took in more money than its predecessor had in its first 3 weeks. In just over 5 full days of release, it had surpassed the total gross of Batman Begins, a remarkable figure. The Dark Knight would go on to become not only the best-selling comic book adaption ever (and arguably the most respected), but also the 2nd highest grossing movie of all time, having broken the $500 million mark domestically as no other film other than Titanic had done. The masterpiece had secured a spot in the lofty heights of film history. Indeed, Batman had been no stranger to the tops of the charts. Comic books, a medium of art and story-telling dating back to the 1930’s in their present American form, had been occasionally adapted for the big screen, but not taken as seriously as other genres by either filmmakers or audiences. Batman and Superman really put the comic book on the map as a pop cultural force in the late 1930’s, but for decades, comic books had a very pulpy and campy tone – they had evolved from comic strips that were always intended to be funny, as the name implied, and every adaptation of the characters carried that baggage with it. A notable example of this was the 1966 Batman television series starring Adam West. In 1978, the world of movies changed forever when Superman was adapted for the big screen with sizable production value. The film had some comedy, but largely left behind the campier or pulpier elements of the so-called Silver Age of comic books. This was a movie for the mainstream, and the mainstream showed up. Space and science fiction in film were really catching on in the public with the help of films like Star Wars and Close Encounters. In fact, oddly enough, the third weekend of Superman broke the opening weekend record. This would be the last time a film would ever break the weekend gross record for a single film on a weekend other than its first. Today such an event would be impossible. Superman remains to this day in the top 5 most-attended comic book adaptations despite enormous competition in the ensuing decades. Superman II arrived in 1981, and though it fell short of the original, it broke the opening weekend record at the time. Unfortunately, as previously noted, the franchise then changed hands and was driven into the ground by infusing it with comedy and campiness that simply did not belong. The fourth film was embarrassing for all parties, even failing to out-gross Supergirl. That would keep the franchise off of the big screen for the next 13 years. What about Batman? He had been seen on the big screen in 1966 played by Adam West, in an adaptation of the campy TV series. Could he repeat Superman’s success? In the mid-1980’s, the comic book universe was transitioning to its so-called Copper Age, where characters became more complex and darker themes began showing up in storylines, notably in Batman storylines. In 1986, rising filmmaker Tim Burton was approached by Warner Brothers to work on a Batman project, following his successful film adaptation of the Pee-Wee Herman character. WB seemed to be interested in a light and campy adaptation that would be family- friendly. Burton wasn’t interested. He wanted a darker treatment, inspired by the darker tone that had recently appeared in the comic books, such as in the landmark work The Dark Knight Returns by Frank Miller. The success of such books and Burton’s next film, Beetlejuice, convinced Warner Brothers to go ahead with Burton’s plan. Much controversy swirled amongst comic book fans over Burton’s direction and casting of Michael Keaton. There was palpable fear that a campy film was being made, as much of Burton and Keaton’s recent work had been. The last thing fans wanted was another Superman III. Fans needn’t have worried. Relief was around the corner. Worries turned to jubilation as production details got around, and before long there was a true phenomenon in pop culture. Images of slick batmobile had fans salivating, and the bat single had become a veritable symbol pop culture. Batman was about to come to life in the modern era. The film opened nationwide on June 23, 1989, to lines wrapped around movie theaters. A little perspective here: a month previously, on the 3-day portion of Memorial Day weekend, Indiana Jones and the Last Crusade had broken the opening weekend record, making $29.4 million. Just three weeks later, on the weekend of June 16, the sequel to the monster hit Ghostbusters had opened, breaking the opening weekend record again with $29.5 million. Batman opened the very next weekend. Had any of its thunder been stolen by these two brand new record breakers? The film made $40.5 million over the first weekend! Not only did it break the record just a week later, a feat truly impossible to beat, but it beat it by a percent margin that has only been bested one time before or since, which was when Return of the Jedi obliterated the record that had been held by Star Trek II: The Wrath of Khan. Batman went on to secure its place in history as the third best-selling comic book adaptation of all time in theaters. And despite two other record-breakers in close proximity, it would easily win the year. It forever changed the public perception of superheroes in the movies. And it set the stage for a hyper-record of sorts – four films from the same property breaking the opening weekend record. It held the record for three years until Batman Returns broke it, and was followed in 1995 by Batman Forever and 2008 by The Dark Knight, which remains the best-selling coming book film of all time theatrically. Batman is an icon from beloved classic literature from the early decades of the twentieth century. He’s one of the most recognizable figures in the culture and the canon of stories written about him has taken the form of a distinct mythology. There aren’t too many figures from history or fiction that share such elite status in the United States. From this group, who comes first to mind? For a very significant portion of Americans, it would be the most significant icon from the most ubiquitous canon of literature in the world, The Bible. Hailing from Nazareth, Israel, and born in Bethlehem, that icon would be Jesus - who would become known as Jesus Christ (aka the messiah, the Christ, the Savior, the King of Israel, etc.) - the figure who would divide the monotheistic sect of Judaism, give rise to what would become the most dominant group of religions in the world, and continue to shape human culture and history to the present day. Quite a resume. It’s no surprise that some of the contents of the historically best-selling anthology that is The Bible would have been adapt ed many times on film over the years. But in the 20th century, sweeping biblical epics reached a crescendo in the late 1950’s with The Ten Commandments and Ben Hur. Respectively, these films rank #6 and #13 on the list of all-time best-attended films theatrically, and the latter received ample Academy Award recognition. After this, the Bible seemed to be a hallowed place to tread in film – no one wanted to go there for whatever reasons. Perhaps just business concerns - with such definitive epic biblical films in existence, to compete, there was a high risk of budgets exceeding revenue. Various films were made about the life of Jesus Christ and other biblical stories over the years, but few had much production value and very few stood out. Martin Scorsese’s The Last Temptation of Christ stood out more than most simply for controversy value and Academy Award nominations, but was not notable from a commercial point of view. The Prince of Egypt, an animated tale of the Old Testament, achieved a fair amount of success for DreamWorks in 1998, but nothing too surprising. Otherwise, Christian or religion-based movies simply tanked at the box office again and again. There was every reason to believe that the genre was completely dead. The pendulum actually seemed to have swung in the opposite direction with the 1973 release of The Exorcist, which ultimately landed a spot on the top 10 best-attended movies of all time itself - an extraordinary feat indeed for a horror film. Another key concern for an artist is that whenever you depict religious material, you’re going to attract a headache of controversy no matter how you depict it, because the nature of religion is that everyone has a different opinion about it and highly religious people tend to get highly offended when opposing interpretations of their religion differ from their own. This is especially true with Islam – for example, Theodoor van Gogh was murdered in 2004 for making his film Submission, which expressed his views on the Islamic treatment of women. Murders and violent, vociferous protests have repeatedly occurred in response to depictions of the Islamic prophet Muhammad (and we’re talking about occurrences in the West, not the East). Perhaps Christian mythology is not as risky, but was there anyone crazy enough to put huge production value into another adaptation of scripture and risk financial loss on top of bearing the cross of intense (and possibly threatening) controversy? Hollywood had just the man for the job: Mel Gibson. After his directing success in the sweeping historical epic Braveheart, the director’s firm Catholic convictions led him to believe he could succeed in a genre that no one else wanted to deal with. The project became a labor of love - come hell or high water, he was going to make his picture as he saw fit. Gibson had his own production company, and produced the film independently with a reasonable budget of around $30 million. Gibson insisted on high standards of authenticity, making the film in the archaic Hebrew and Aramaic Latin languages, thus tacking on a genre (foreign language) that is another extremely hard sell in America. The film was loaded with blood, gore, and torture, easily earning the film an R rating. How on Earth could such a film make money? O ye of little faith - in the faithul. 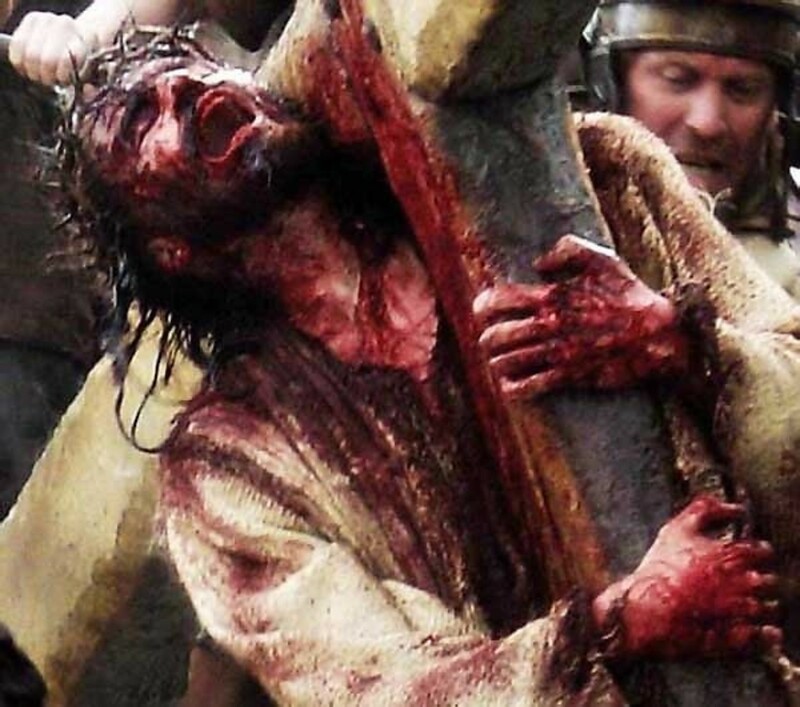 The Passion of the Christ gathered plenty of buzz and controversy over anti-Semitism, violence, and accurate depiction of scripture, as could probably be expected, as the release date drew near. From this alone, no one expected a complete flop any longer, but the fact remained that this type of film hadn’t seen much commercial success in decades. Then again, it hadn’t received such production value in decades either. Rising online ticket-seller Fandango was selling record amounts of tickets for the film in advance, but with little precedent, virtually no one in the industry had a confident idea of how this film would do. The answer came on Ash Wednesday, February 25, 2004. From the devout to the curious, shows were selling out right and left. Besides being the ultimate church group flick, the 'it' factor had been achieved. Box office records for the biblical genre went down in a flash flood of consumerism. Nothing before or since has come anywhere close. Outside of epic franchise sequels from the Star Wars and Lord of the Rings sagas, The Passion wrought the highest opening Wednesday of all time, which would be the highest ever for a film with an R rating as well. Box office analysts were beyond impressed – this level of business shocked the industry. The Passion of the Christ would have the highest opening weekend gross for a January or February release of all time, despite shedding front-loaded business for two days prior – a record it still retains despite inflation, and no release from the first two months of the year has come anywhere near its domestic total, which easily took third place for the year. The Passion remains the top-grossing R rated film of all time by a large margin (though The Exorcist remains tops for ticket sales – a record that is virtually impossible to break today). It towers from ahigh over all other biblical adaptations and retains a god-like record atop all foreign language films. Once again, Batman serves as a point of reference. Who are the most iconic comic book figures of all time? Most would start out with the big three: Superman, Batman, and Spider-man. We had seen how Superman defined the comic book adaptation genre in film in the 1970’s and Batman took it to the next level in the 80’s and 90’s. Would Marvel and Spider-man ever get a chance? Filmmakers had been interested in adapting Spider-man even before the release of the Batman in 1989. The story of the development of the first Spider-man film is a rich tale from behind-the-curtains of Hollywood that practically deserves its own film and is beyond the scope of this article. From big names across the entire spectrum of Hollywood (from Russ Meyer to James Cameron), to bankruptcy, lawsuits, and high-powered dealings, Spider-man had a tougher time getting to the big screen than just about any other project in film history. The X-men managed to get a successful franchise started before Spider-man. In retrospect this might have helped Spider-man, since Batman had left the major superhero genre in a state of despair at the end of the 90’s due to Schumacher's interpretation. X-men helped renew fandom faith that Hollywood could get it right. To cut a long story short, the first big Spider-man adaptation was finally a go in 2000 with Sam Raimi (himself a Spider-man fanboy) attached to direct. Mirroring Batman, production details were followed closely and concerns arose over the lead casting of Toby Maguire, feared by fans to be too much of a low-key, dramatic art-film actor to pull off a fast-paced action character. Raimi knew what he was doing though, and was too big a fan of the comic books to let fans down. And the fans came around surely enough, just as they had with Batman. The film would peg a release date of May 3, 2002. Once assumed a dumping ground, early May had begun to be discovered as having serious potential, beginning with the enormous success of Twister. Big films jockeying for a key summer-starting slot perhaps had more options after all. Following suit, Deep Impact, Gladiator, and the first two Mummy films proved that early May could work just fine, and so the summer movie season had migrated from Memorial Day weekend to the beginning of May. Sony tossed its hat in the ring. It would attempt to kick off the summer movie season on the first weekend in May as well. The Fall of 2001 had been a bit rough for Americans in the wake of September 11. Late in the year, many would find escape in the new fantasy worlds offered by Harry Potter and The Lord of the Rings. As we’ve seen, Harry Potter and the Sorcerer’s Stone broke the opening weekend record in a most impressive fashion, and The Lord of the Rings: The Fellowship of the Ring followed suit opening just a month later and putting up similar numbers over the length of its run. There couldn’t have been a better time for the fantasy genre to step up and offer the public by far its two best entries of all time. But America was still hurting, searching for some sort of identity, and these fantasy worlds were mostly inhabited by Brits and New Zealanders. Even while escaping to these wonderful worlds, American pop culture still needed a hero – their hero. The bleak winter of 2002 had little to offer, and early spring not much more. But America’s hero was on his way - straight from American history, dressed in red and blue, protecting New York City from harm. Posters showed the World Trade Center reflected in his eyes. These images would be pulled following the destruction of the towers. They were gone, but they were not forgotten. They were part of America’s history, legacy, and memory. Much like the Dark Knight would become the hero that Gotham deserved, Spider-man was the hero that Americans deserved. He was the hero they needed. On May 4, they got their hero. And symbolically, the opening weekend record that Harry Potter had just broken months before was shattered as Spider-man posted the first 9-digit weekend box office total for a single film in history: $114,844,116. The number was magic. It inspired awe. It made headlines. It captured the imagination and the American spirit. Life returned to the box office as spring renewed life across the country and spirits rose as summer was kicked off. Spider-man ignited the culture and helped America recapture its identity. This is who we were, and wanted to be. As a New Yorker in the film said: “you mess with one of us, you mess with all of us.” The film was an instant icon of American culture. Even the once invincible Star Wars franchise could not force its way to anywhere near the level of audience that Spider-man brought in 2002. Spider-man’s box office performance remains legendary and awe-inspiring, and in terms of ticket sales, its opening weekend remains in the top 5 of all time. Occasionally, events transcend surprise and awe – sometimes they leave people simply shocked, stunned, and speechless. People like to feel that they understand the world. They need a sense of comfort and security. This leads some people to try really hard to predict events to avoid unwelcome surprises, and some people get really good at it. So good that the thrill of predictability turns to boredom and complacency, which in turn gives rise to the desire for the thrill of unpredictability once more. Anything that provides such a thrill becomes an increasingly rare gem. In the realm of box office grosses, perhaps the rarest such gem of all was uncovered in March of 2012. Books are the oldest and most common sources of stories to be adapted into film, but for most of cinematic history, source material from the literary world had been fairly delineated into either adult or child audiences. Adolescence itself evolved during the 20th century as life got easier – kids and teens had more free time when not in school, and college attendance, often serving as extended adolescence, steadily increased over the years with the number of white collar jobs. It took time for 20th century authors to catch on that there was a distinct market for adolescents – novels typically got either written specifically for or else ultimately pigeonholed into either child or adult reading. By the 1980’s a distinct young adult sector had emerged in the market, and bookstores and libraries were creating distinct sections. Authors began writing specifically for the demographic, but like anything, it took a while for writers to get feel for the demographic and write books they would take to and relate to. Film adaptations would have to catch up. As with novelists, filmmakers hadn’t been able to create many blockbusters of any kind targeted squarely at a teen audience, let along adaptations of novels. Most films targeted to the demo tended to be either horror films or otherwise comedies or dramas set in school or set around banal extracurricular school activities. In other words, there hadn’t been much in the way of escapism for teens in teen films, and not much to relate to for other demos. As previously discussed, Harry Potter and the Sorcerer’s Stone really was a landmark achievement in young adult fiction in many ways, among them the speed at which they achieved popularity and the direction of crossing over into all demographics. Rather than gaining young audiences over decades as the establishment foisted books upon their kids and students, Potter had managed to flip the paradigm so that kids were discovering the books first and older readers began reading them for their own pleasure. A situation arose where a book considered a kid’s book was not only competing with but beating adult best-sellers. Importantly, the novels did not talk down to or stereotype youth, which helped it to avoid alienating teens as well. The film adaptation was really the genre-defining film that showed what a young adult novel adaptation was capable of. As the Potter film franchise aged, it retained its audience with remarkable fidelity, showing how truly maximized the spectrum of age demographics had been all along. The young adult novel saw an explosion the wake of Potter. Many writers struggled to carve out a niche distinct enough from Potter to really catch fire – most seemed content to draft off of its success. Stephanie Meyer was among the first achieve such a niche with her Twilight series. Shifting the demographic much more female and teen, she succeeded creating a teen romance story in horror/fantasy trappings. Difficult to believe as it once would have been, the success of her novels has actually spawned a successful subgenre within young adult that crosses over into adult readership – teen paranormal romance. Young adult had come a very long way very quickly. The vast networks of communication and information-sharing in the last decade or so have created very unpredictable crossover effects. The Twilight saga adapted to film quite nicely from a financial perspective. Records for the teen romance genre were shattered by a most impressive box office run for Twilight, and summarily shattered once again by the first sequel, New Moon, to shock and awe – New Moon’s opening weekend (including record-setting midnight business) posted the third highest opening weekend of all time. The shock was mitigated only by the outstanding success of its predecessor and the rise of the midnight opening event, for which it set the box office record. Meanwhile, in the realm of young adult novels, an increasingly populated genre, author Suzanne Collins had entered the fray with The Hunger Games, just before the release of the first Twilight film and it had reached best-seller status as Twilight hit theaters. She had already written a five-part young adult fantasy series, The Underland Chronicles, to critical acclaim, and The Hunger Games caught fire quickly, spawning a very successful trilogy of novels. Lions Gate Entertainment, a relatively young distribution company willing to take risks, and whose highest grossing film to date had been the aforementioned Fahrenheit 9/11, secured the distribution rights to the film adaptation. In the film world, production details of The Hunger Games project were largely being overshadowed by the back-and-forth ultra-blockbuster releases from the Harry Potter and Twilight franchises. After the Harry Potter series ended its spectacular run with a 3D finale and opening weekend record farewell, somewhat of a black hole in the overall marketplace could be felt – a whole generation of young moviegoers had grown up with Harry Potter, both in books and in film, and now it had ended. Later in the year, the penultimate Twilight film was released, and its fans too were facing the end of that series the following summer. Nature abhors a vacuum – there was room for a successor. How soon would the next big thing hit, and what might it be? Many young adult book-to-film adaptations had stumbled off the blocks, or been mid-tier successes, most failing to spawn franchises. Most of them fit into the fantasy genre more or less as well, mostly failing to distinguish themselves sufficiently or be compelling to a wide audience. Filmmakers seemed to have forgotten how difficult a sell fantasy once was – now it was being taken for granted, and consequences were being felt. To achieve the elusive 'it' factor is neither easy to do nor predictable. You must have memorable and relatable characters and a distinguished and compelling story that will translate well to the big screen. A strong reader base is required, but insufficient. High demographic crossover is a strong bonus. But even then results are unpredictable with respect to creating a huge event – you have to capture a zeitgeist that you might not even realize exists. The Hunger Games seemed a good candidate for succession from the onset, despite no shortage of competitors in the young adult market, due to sheer book sales. The books had dark themes and were critically acclaimed, earning the coveted crossover from young adult to adult demographics, and attracted both the coveted female demographic and a strong male fans as well. The story was epic and contained elements that could translate well to moviegoers. But despite the pros, there were cons. There were numerous reasons to believe that a film adaptation of The Hunger Games would not get out of the gates nearly as forcefully as Harry Potter or even Twilight had. For starters, the story was one of a dystopian future in a post-apocalyptic world. This enters a territory that is even harder to sell than fantasy. The only big successes had been with huge stars and with the exception of I Am Legend (which had arguably the biggest star in Hollywood as the lead) were sequels to well-loved established sci-fi films, loaded with big action, massive sci-fi effects, and big stars. The Hunger Games did not fit the mold. The romantic angle in the story was much-diminished compared to Twilight, not that that would necessarily have made a difference as romantic drama is relatively often a hard sell. Add the major plot element of children forced to kill one another and you very conceivably turn away adult women and potential family audiences. The story elements of gladiator-like survival entertainment or reality television had never met with much box office success either, certainly not without mega-stars to carry the weight. The main character was an action heroine, yet another very hard sell category, especially when the atmosphere is gloomy and your star is a teenager. The cons added up to one conclusion – nothing about this movie was an easy sell. And yet, the books in the trilogy were selling like hotcakes. They had clearly done something very right. Surely the movie would not flop, but the odds of being successor to Potter and Twilight mega-success did not look good from a film perspective. Early optimistic analysts expected an opening in the ballpark of the first Twilight film. It seemed certain that it was going to need time to build a film audience like the Twilight Saga had to reach those heights, and probably stellar word-of-mouth as well. The most optimistic (but not as realistic from the view point of most) of all believed the film could crack the $100 million mark, due simply to its draw of both strong female and solid male crowds, book sales, and healthy marketing campaign including a trailer before The Twilight Saga: Breaking Dawn Part I and lots of press with upcoming star but relative unknown Jennifer Lawrence. A March 23 release was a sign that the studio did not expect extreme blockbuster heights out the gate either. Films had certainly opened well in March in recent years, with the summit being the success of Alice in Wonderland, opening with a most impressive $116 million in 2010, by far a March opening record at the time. Though it too featured a feisty young female adventurer as its main character, it was aided by the tremendous star power of Tim Burton and Johnny Depp, quite a recognizable title, and a 3D boost fresh off the record-breaking success of Avatar. Among films opening in the latter half of March, the best opening had been Ice Age: The Meltdown, opening to $68 million in 2006. Given the precedents in retrospect, the size of the figure drawn by The Hunger Games on opening weekend is simply surreal: $152,535,747. A dream-like number. Superlatives run out – it leaves the jaw slack and eyes glazed. How was this even possible? What in the world had gone so right? The only conceivable answer was that everything had gone right, and then some. So many records had been simply obliterated. The myriad genre opening records noted here, simply owned by The Hunger Games. The record for any non-sequel shattered, comparable in ticket sales to the amazing Spider-man opening we just discussed on the #2 spot on our list. Every Twilight movie beaten, every Harry Potter save the 3D finale beaten, and the third highest opening in history. A nearly utopian occurrence for this film. The Hunger Games has given box office analysts quite a thrill indeed. Presumably 2012 will not be the year the world ends, but hopefully the progenies of any great apocalypse will know just how impressive this opening really was. Future pop-culture historians will not fail to notice this anomaly when crunching data on their quantum computers at light speed. It was a movie for the 99%, weary of the control of the ultra-wealthy and ready to fight back - hungry, undervalued, and eager to survive. Great heroes will arise from humble beginnings and their love, respect, and knowledge of nature will triumph over the corruptions of the big city. And people will marvel in awe of the unpredictable successes of their heroes and entertainers just like they marveled at Katniss. Every film on this list deserves for some reason to be there. But outside the top 3 the ranking is messed up (and Avengers should now be #1). Also, TDK would not be the opener/grosser it was if not for Heath Ledger and The Joker. This is largely why I think TDKR is being overpredicted. Shrek 2 is overrated. It was expected to open huge, and then expectations nosedived with that Wednesday opening and drop Thursday. The opening weekend then seemed even that much more impressive with the lowered expectations. I personally also feel like Shrek 2 is the most over-rated on the list, though others convinced me well enough it deserves more recognition than I was originally giving it. I also feel like the achievements of Potter 1 and Jedi are more impressive than others are giving due credit for. But every list like this has a degree of subjectivity that is unavoidable.